Teal Francis was born and raised in central Oregon and has lived in Colorado, Washington, Alaska, Montana, and currently resides in Reno, Nevada. 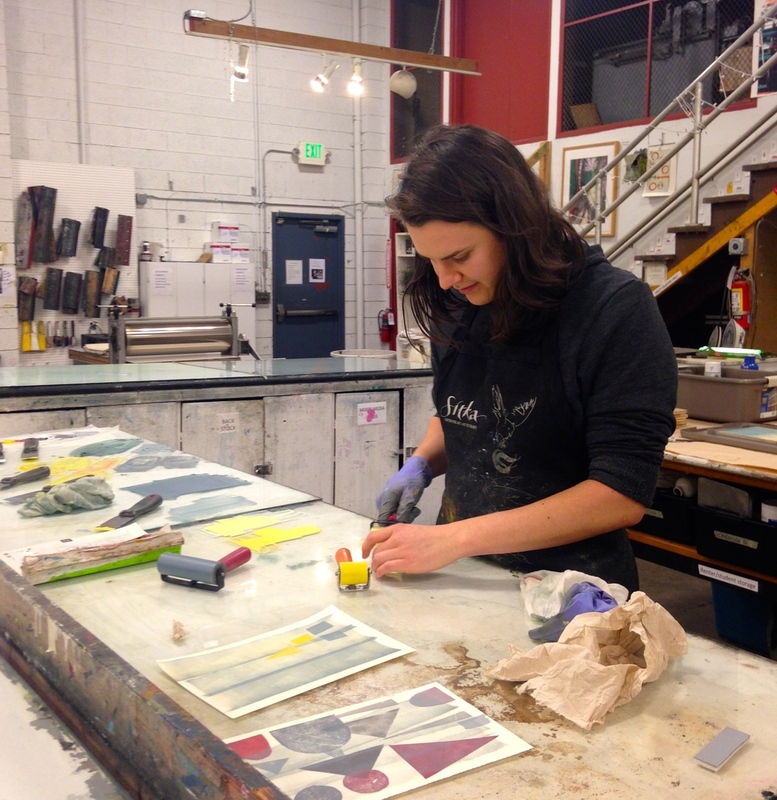 She is primarily a printmaker and specializes in relief and screen prints. Teal is fascinated by how human beings interact with the world and how it defines their quality of existence. Through animals’ interactions with various objects, her prints question the nature of socially-defined normal encounters and represent her experience of working to observe in order to change her own subconscious behaviors. If you have are interested in purchasing work or have a question or idea, please feel free to contact her at tealafrancis@gmail.com.